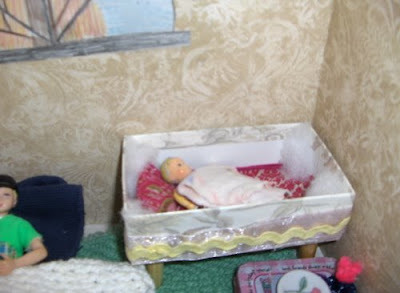 I love the way working with a doll house that's homemade brings out the creativity in children. My daughter has made two items lately, totally by herself and not by my urging. First, a crib/playpen. 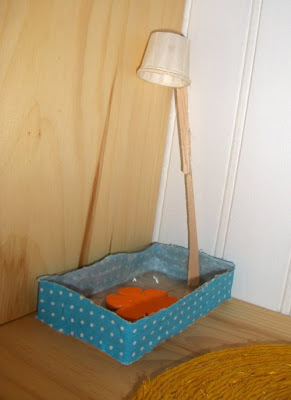 It's made from a box that contained soap. The legs are tall wooden beads. It is trimmed in ribbon and rick-rack. Dolls houses... love them! And yours is really special. The little things you`ve made are great and with such imagination! Keep going!